Is the event for business, adults or children/teens? The event can be held at your place of business, at my location in Victor or a venue of your choice. The event can be held at my location in Victor or a venue of your choice. If you are a school or club check out the PlantED jr. tab above in the navigation bar. If you are a family looking for an party activity for your child you can use a venue of your choice such as rec centers, community rooms at your club, church or complex. All materials are supplied and the terrarium build is facilitated by Kathleen. She will need a brief period before and after the event to set up and clean up. Payment can be handled by invoice, over the phone or in person. All major credit cards are accepted. Jardin Terrariums uses the point of sale system SQUARE to keep all your information safe. Jardin Terrariums is a member of a co-work organization called SPOT cowork located in Victor, NY. Your group can take advantage of the benefits available during the event. Various size conference rooms are available for Jardin Terrariums to host your event of 4-30 people. Complimentary coffee and water is provided. If it is a corporate event then your business would have access to large monitors, white boards and WiFi for any presentation needs. There is a kitchen with frig you will have access to for food storage during your event. All materials will be supplied and Kathleen will facilitate the terrarium build. Terrarium Kits can be put together for your child’s party. They can have their party at home with an activity that will keep them busy for up to about an hour. All supplies are included along with easy to follow directions. The kids have a great time, plus no need for party favor bags because the terrarium goes home in a fun reusable tote bag so it is a terrific take away from the party. 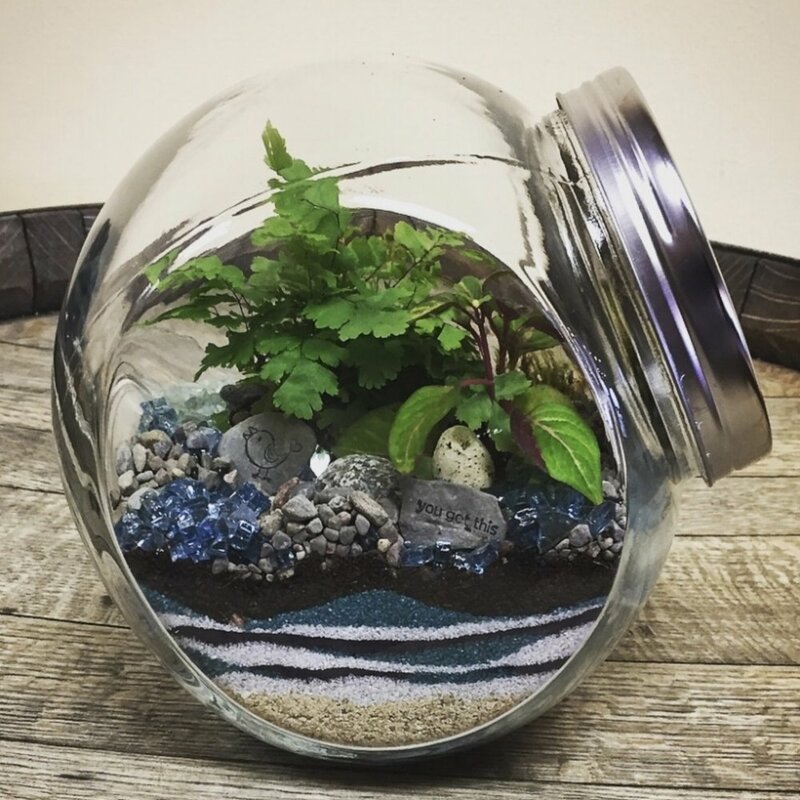 Why include a terrarium build in your event? Engaging with nature relieves stress, restores mental energy, instills a feeling of calmness and is a natural mood booster. 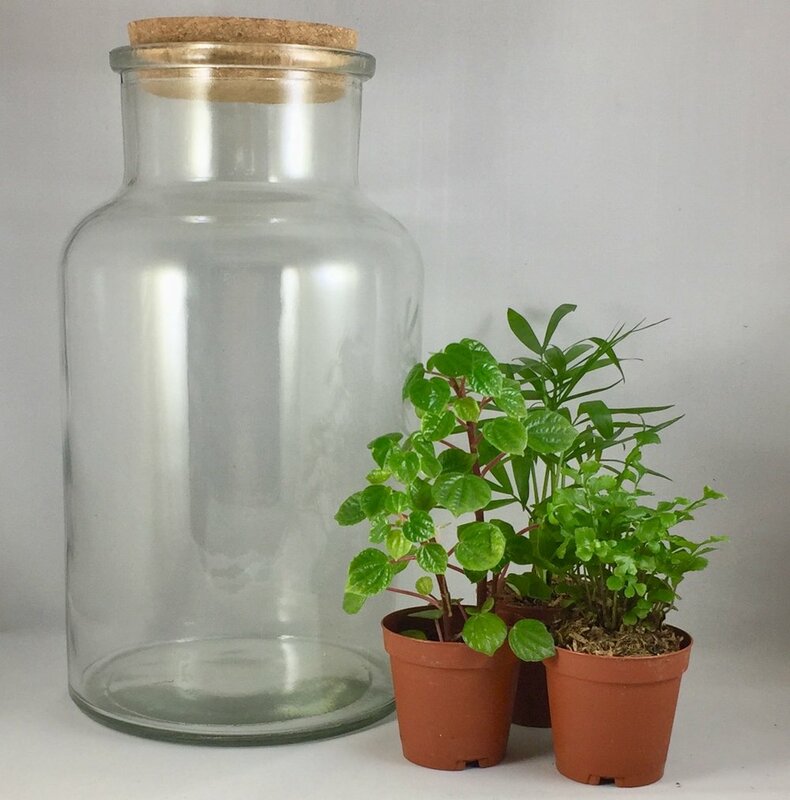 $20 per person includes: 6 1/2 inch upright jar, one plant, base sands, dirt, decorations and tote bag. Takes about 30-45 minutes. $20 per person includes: 6 inch round jar, one plant, base sands, dirt, decorations and tote bag. Takes about 30-45 minutes. $30 per person includes: 7 1/2 inch round jar, two plants, base sands, dirt, decorations and tote bag. Takes about 45-60 minutes. 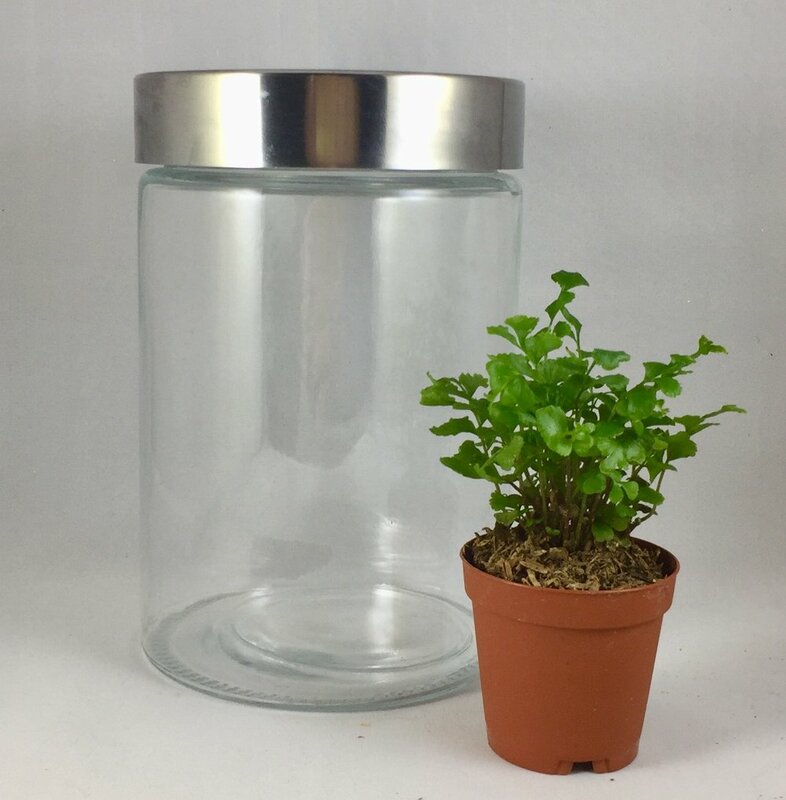 $35 per person includes: 8 inch clear-top jar, two plants, base sands, dirt, decorations and tote bag. Takes about 45-60 minutes. $40 per person includes: 10 inch cork top terrarium, three plants, base sands, dirt, decorations and tote bag. Takes about 60-90 minutes. 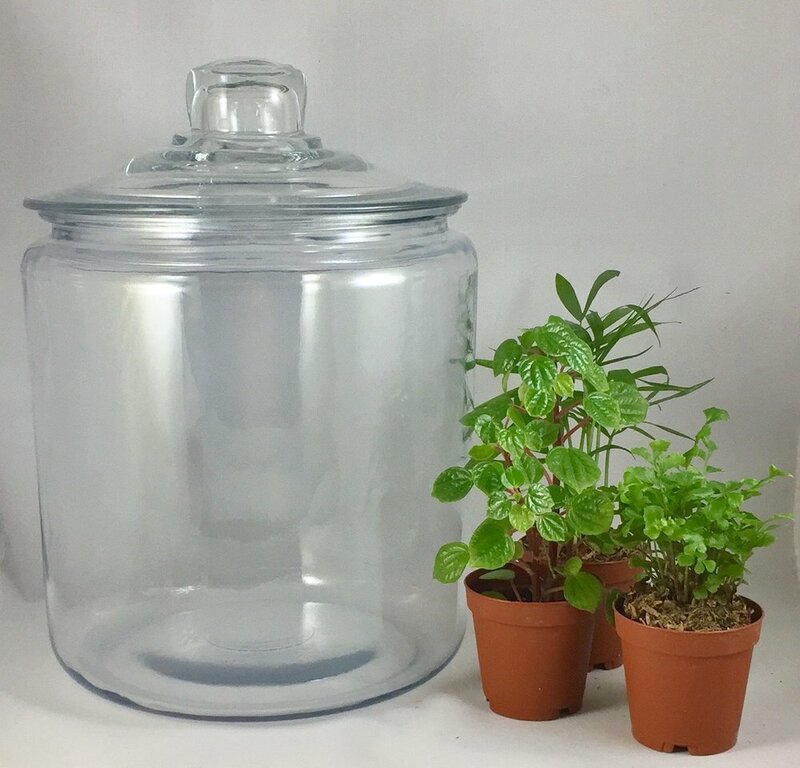 $45 per person includes: 10 inch clear-top jar, three plants, base sands, dirt, decorations and tote bag. Takes about 60-90 minutes. Whether you call, text, email, message, she is excited to hear from you! If you are unsure about anything, not to worry! Kathleen will be happy to help answer any questions and help in finding a venue to fit your needs.